The idea of ‘moderate Islam’ was invented by the West and is being used to weaken the ancient religion, Turkey’s President Recep Erdogan has said in reference to Saudi Arabia’s reforms, while also lashing out at the EU’s “discrimination” of Muslims. Last month, the Crown Prince of Saudi Arabia, Mohammed bin Salman, vowed to restore “moderate” Islam to the kingdom considered to be "home" of the religion. The Gulf monarchy currently follows a Salafist or Wahhabi version of Islam that is often described as being "ultraconservative" and administered through Islamic Sharia law. In what appears to be a direct reference to Saudi Arabia’s Crown Prince, Erdogan denounced a “moderate” interpretation of Islam in a speech delivered at the Organization of Islamic Cooperation (OIC) Women’s Advisory Council on Friday. “The term ‘moderate Islam’ is being lathered up again. The patent of moderate Islam belongs to the West. There is no moderate or immoderate Islam; Islam is one. The aim of using such terms is to weaken Islam,” Erdogan said in Ankara. The thrust of Prince Mohammed bin Salman's Vision 2030, is to socially transform the Wahhabi brand of Sunni Islam, which bans gender mixing, concerts and cinemas. 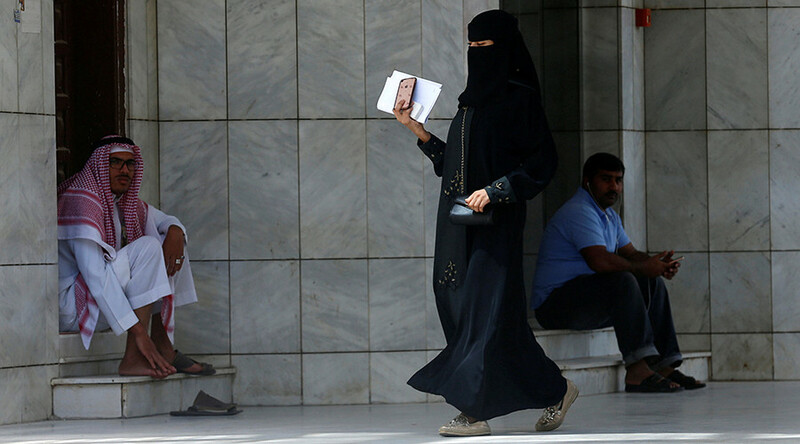 Starting in the summer of next year, women in Saudi Arabia will be permitted to drive. In the new year, women would also be allowed to attend sporting events as the monarchy continues to usher in its liberalization reforms. Last month the Prince unveiled a plan to construct a $500-billion state of the art city across its borders into Jordan and Egypt. The new mega-city is to be erected with the aim of diversifying the Arab country’s economy and reducing its dependency on oil. Riyadh’s reforms have been accompanied by a massive anti-corruption drive, which saw a purge of the kingdom’s political and business elite, including 11 princes. The kingdom’s closest ally, the US, has welcomed the campaign, with President Donald Trump saying those arrested had been “milking their country for years”. “They say we will return to moderate Islam, but they still don’t give women the right to drive. Is there such a thing in Islam? I guess they will give this right when they turn to the moderate one,” Erdogan noted Friday. "Headscarves are gradually being banned in EU states with the public - personal space trick, attempting to bar Muslim women from entering social life. 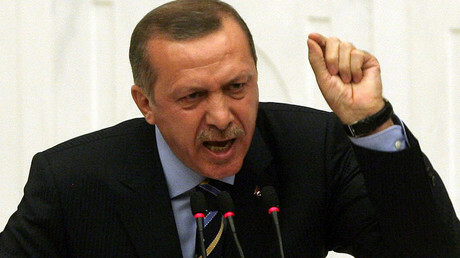 Attempts to incarcerate Muslim women in their homes is spreading like a virus," Erdogan said. Traditional Islamic head and face coverings have long been controversial in Europe, where they are often seen as incompatible with secular values. France became the first European country to impose a ban on full-face coverings in 2011. Belgium followed suit shortly thereafter. German MPs approved a partial ban on full-face veils this April, saying it’s the country’s duty to present itself “in an ideologically and religiously neutral manner.” Austria’s parliament also endorsed a package of measures that outlaws distribution of the Koran and wearing traditional Islamic full-face veils in public. "Those who are teaching us lessons on human rights are unfortunately applauding as the most basic human rights are being trampled in their countries," said Erdogan.